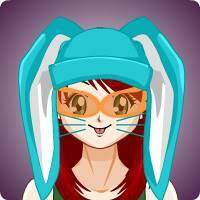 Short Bio: Usagi, meaning "bunny", is an average girl who has a deep love for Japan, friendship, and outgoing traits. She loves everything about Japan, from the anime/manga, to the pure culture and ethics. She apperciates the aspect of friendship, which is why she loves to host role-plays. With a role-play, she can express her creativity and respect for Japanese creations. Despite her love for Japan, she also enjoys American entertainment and bashing Twilight. Although she is open to violence, shounen ai, and other mature themes, she is afraid of material rated "M" or "R". She is open to any friend and isn't too stiff about rules. Usagi is a very accepting, fun, and outgoing girl.